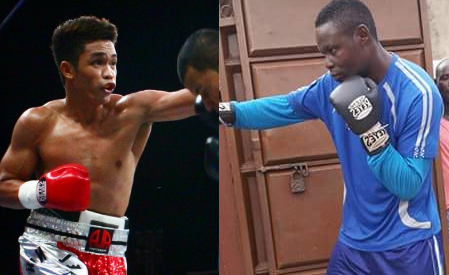 Filipino boxer Jason Pagara is set to face the Hard Hitting boxer from Ghana Richmond Djarbeng in Pinoy Pride 42. The Filipino boxer Jason Pagara is currently 25 years old with a record of 40W(25KO)-2L. Pagara won his last 13 fights and most of his wins are by way of KO, the Filipino boxer is now the top contender against the WBO world super lightweight champion Terrence Crawford but unfortunately, they couldn't afford to get that fight. Meanwhile, Richmond Djarbeng is a 27 years old boxer from Ghana. He has an outstanding record consisting of 28W(22KO)-3L. The hard-hitting boxer lost to Jeff Horn in 2015 by TKO but was able to come back and win his last 8 fights and 6 of those wins are coming by way of KO. Pagara vs Djarbeng is included in the Pinoy Pride 42 featuring Milan "El Metodico" Melindo vs Hekkie Budler.